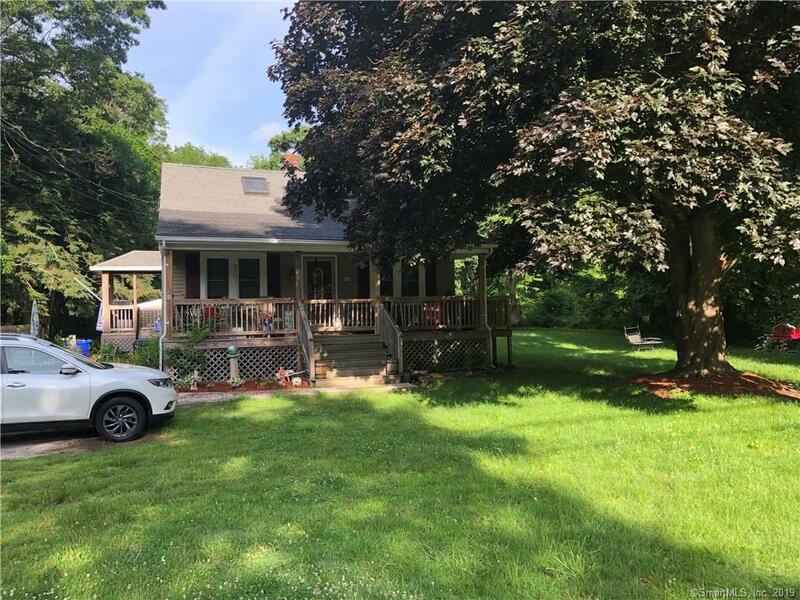 117 Buddington Road, Groton, CT.| MLS# 170162769 | Eastern Connecticut - Homes for Sale...from Mystic to Moosup & More ! From the Shore to the Country ! Nice Cape Cod with 3 bedrooms, 2 full baths. Kitchen/dining room area. Kitchen has been updated, hardwood floors throughout. Master suite with a full bath, mudroom, full basement unfinished. Sit out on the nice covered porch on the front of this house. There is also a smaller porch on the side. Attached 1 car garage. Large level back yard with a partially fenced area. Not a drive by!! Directions: Long Hill Road Turns Into Poquonnock Road, Left Onto Buddington Road. House Is On The Left Side.